If your classic is having difficulty drawing fuel, it can manifest in symptoms from not starting to regular cutting out particularly under load as fuel runs out in the carburettor float. If you suspect this to be the case, there are a few things you can check. Flakes of rust or even a disintegrated gauze filter can be sucked up the pipe, causing a blockage at a corner or kink. If you suspect the blockage is in the main supply pipe from tank to the engine compartment, renew it – it’s likely to be corroded. If the riser pipe inside the tank is the problem, this can be more tricky. Some simply unscrew or unclip from the top of the tank, but others are soldered in position. In the latter case, the tank will need specialist attention and it may be cheaper to simply obtain another one. There’s usually some method of getting at the pickup pipe’s gaze filter – often the drain plug is situated directly below the end of the pipe. This may provide a point of access for probing with wire or an air-line. Incidentally, also check that a jack hasn’t been placed under the front-to-back metal pipe, crushing it flat. A filter after the pump shouldn’t cause a problem although, to protect the pump I would always try to position a filter before the pump to protect it from petrol tank debris. But I would go through all your normal checks before removing the filter. Is there a spark being the most obvious. If you can see the filter (and it is a plastic transparent type) turn the engine over to see if it is being correctly primed by the pump. 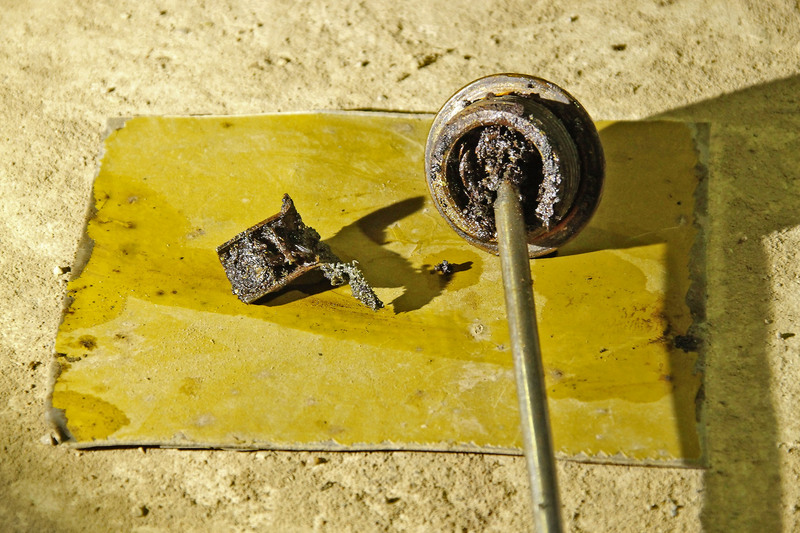 If the car isn’t fuelling, it is more likely to be a problem with the pump itself of a blockage in the carb.